The frequency or pitch of the sound and also whether the sound is airborne e.g. voices, TV noise, or impact related e.g. footsteps on a wooden floor. Bass sounds (low frequency/low pitch) have more energy than higher pitched/frequency sounds. This is why when you walk past a nightclub; all you can hear is the bass sounds outside. At the end of the day it is impossible to completely eliminate every single noise you hear - all you will succeed in doing is reducing it. The loudness or decibel rating of the sound – you need to know what the decibel rating is (the measurement of the sound) of the sound you are trying to reduce. You will also need to know the factor by which, the sound proofing product you intend to use will reduce the decibel rating of the unpleasant noise you are experiencing. Without this information, you cannot make a sensible decision as to whether; the soundproofing product you intend to use will actually do what you expect. 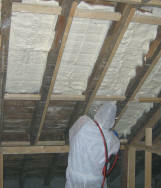 Whilst Spray foam insulation does have a *STC rating* (sound transmission class rating), Handi Foam is unable to provide a decibel factor by which, the product will reduce noise. STC ratings do not indicate noise levels or provide a measurement for the decrease thereof as it refers to actual building materials and products. *What is a STC Rating? The STC (sound transmission class rating) is a measurement of the level of the sound-reducing factor of noise going through a building component. It indicates the sound reducing properties of walls, floors and ceilings used to construct building spaces. A higher STC rating on a building is indicative of the construction having a better sound reducing capability. It is important to remember that STC ratings for various components are not additive. This means that the total STC rating of any component, e.g. a wall plus a soundproofing product will not automatically be the sum of the various component STC ratings. Therefore, one can only really gauge the affect the sound proofing product has on the area to be soundproofed once the soundproofing has been installed. 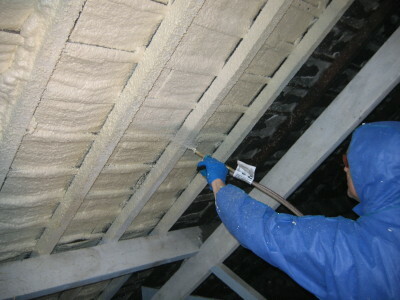 Handi-Foam will provide noise reduction in the case of airborne sound in the case of a cavity wall, however it is not the most cost effective way of doing it. Where the sound source is from an impact e.g. footsteps on a floor, it will not provide sigificant relief. 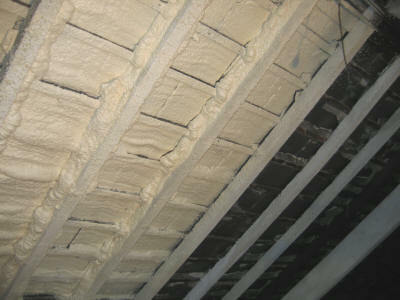 There are specialist companies, which install sound proofing solutions in houses. You may end up having to sacrifice a small amount of room space, as their sound-insulating barrier is likely to be fitted against the problem wall, and obviously will take up some room space (approximately 100mm). Whilst, losing space puts a few people off this solution, it is the only solution where you will get a tangible measure of how much noise reduction you can expect from each layer. Their soundproofing solution often has various layers (some to absorb sound and some to reflect it) and will be designed for your particular application, as opposed to a generic quick fix, which might not work.